“Hope does not disappoint us, because God’s love has been poured into our hearts through the Holy Spirit who has been given to us” (Romans 5:3-5). Hope is one of the three theological virtues infusing a faithful heart with sanctifying grace. 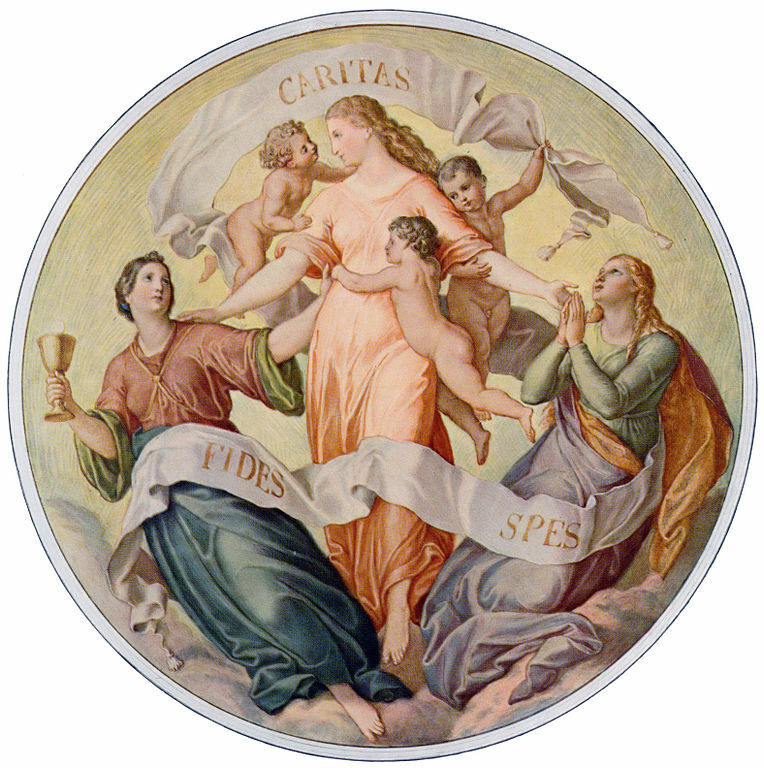 Faith and charity are the other two theological virtues, with hope spring from faith and charity flowing from hope. Hope has it origins in God, it is grounded in believe and faith in the Him, a placing of confidence and trust in Him. It is a result of the Holy Spirit pouring grace into the heart. Hope inflames a desire to live with God for eternity in His kingdom, and it protects and sustains the heart through discouragement and abandonment. Hope is confidence and assurance in God’s goodness and providential care. A life lived in hope, is a life lived in service to God. This entry was posted in Essays, Meditations On Biblical Verses and tagged Abandonment, Discouragement, Faith, God’s Goodness, God’s Love Poured into Our Hearts, God’s Providential Care, Holy Spirit, Holy Spirit Pouring Grace, Hope, Hope Does Not Disappoint, Life Lived in Hope, Life Lived in Service to God, Love, Romans 5:3-5, Theological Virtues, Three Devine Virtues. Bookmark the permalink. Sometimes it feels like hope is all we have. What a gift! I agree, but what a glorious gift to have!